Posted January 10th, 2018 by dogkeeper & filed under Dogs and Tykes, Submitted. Posted August 1st, 2017 by Audra Williams & filed under Dogs and Tykes, Submitted. 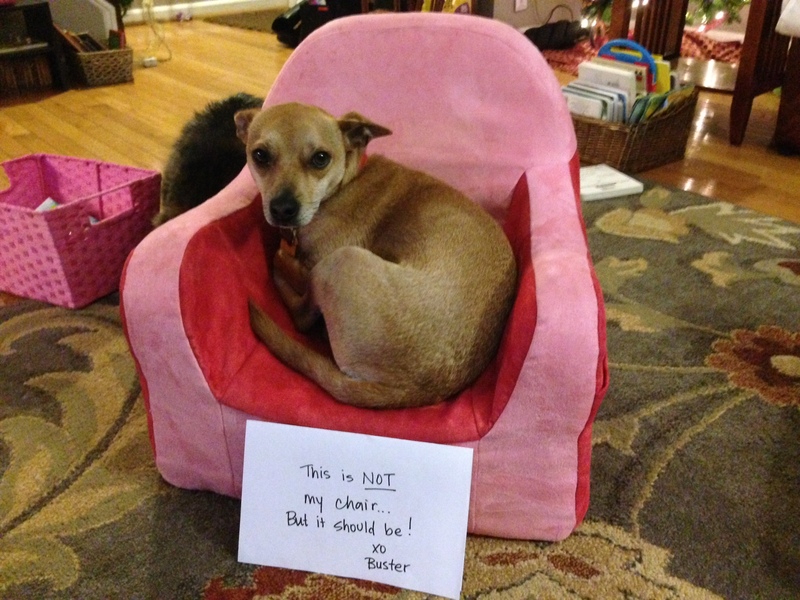 This is not my chair…but it should be. Posted August 20th, 2015 by Audra Williams & filed under Bad Babysitter, Dogs and Tykes, Pilfering Pooches, Submitted. 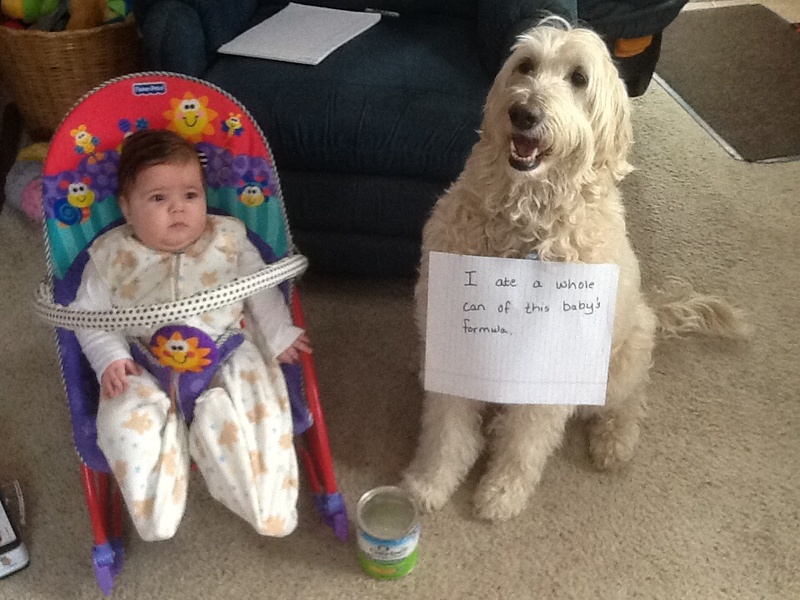 I ate a whole can of this baby’s formula. Posted July 17th, 2015 by Audra Williams & filed under Dogs and Tykes, Submitted. Tank’s 7 year old little sister cried for about a good hour over this sudden burst of jealousy and anger. Tank feels pretty bad, now. 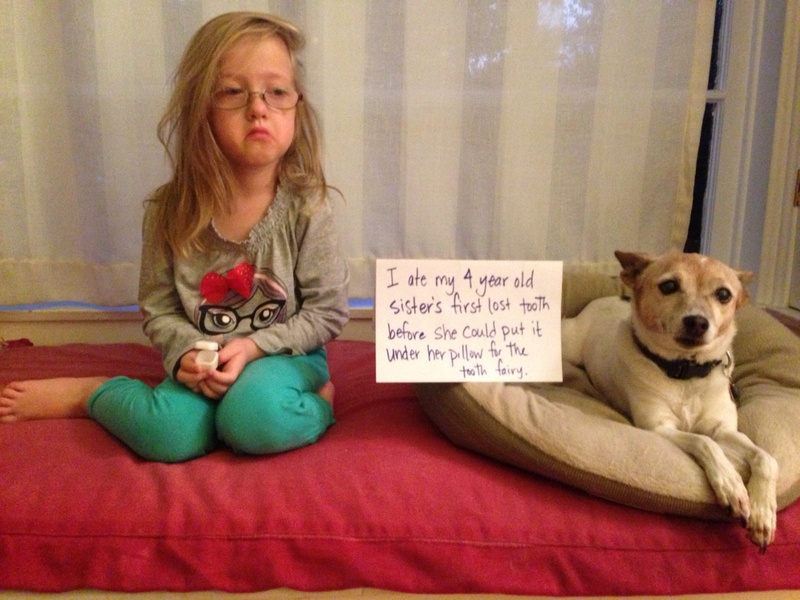 Posted May 4th, 2015 by Audra Williams & filed under Bad Babysitter, Dogs and Tykes, Submitted, Surprise Poops. Meet Bauer (pronounced bow were). He is something else. He also has an epic guilty face. 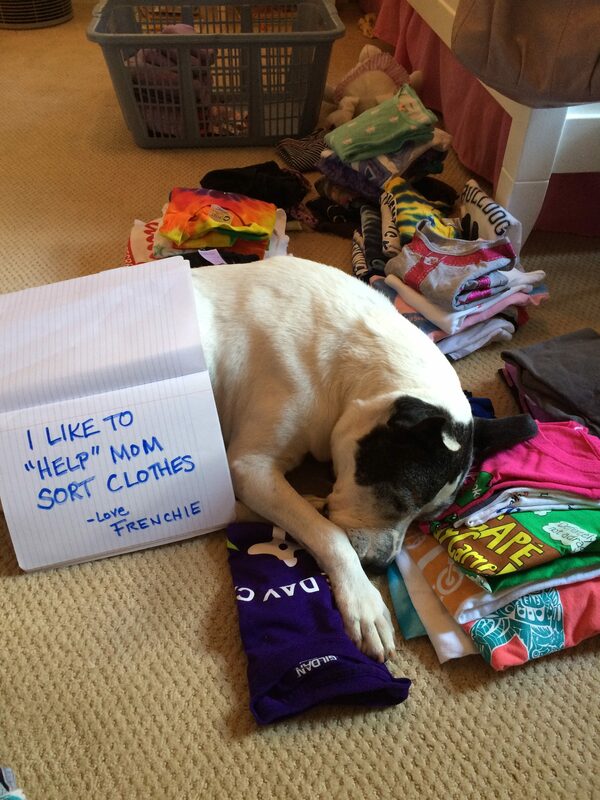 As bad as he can be… we love him! Posted September 19th, 2014 by & filed under Bad Babysitter, Disgusting Doggies, Dogs and Tykes, Submitted. 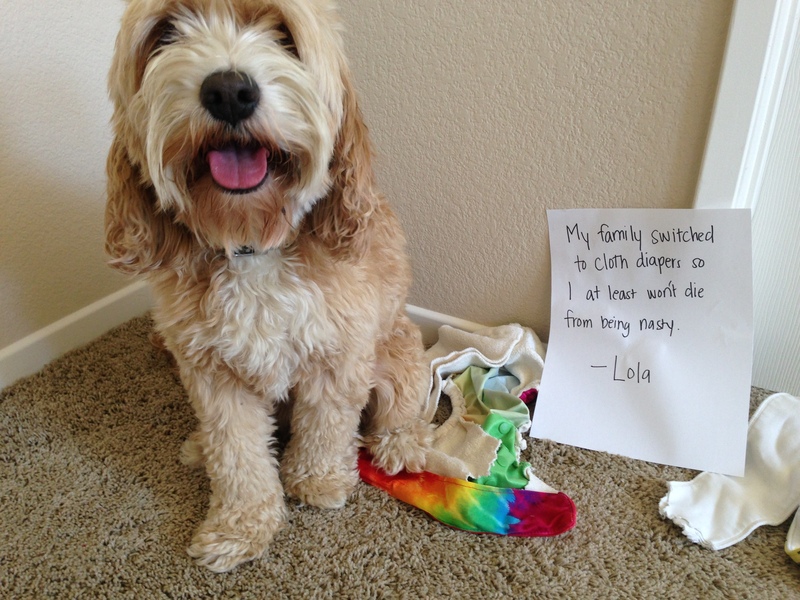 “My family switched to cloth diapers so I at least won’t die from being nasty.” After eating several disposable diapers out of the trash, we got worried that our dog, Lola, was ingesting some gnarly chemicals. We invested in cloth diapers, hoping that they’d stay out her reach and wouldn’t be as harsh on her system. 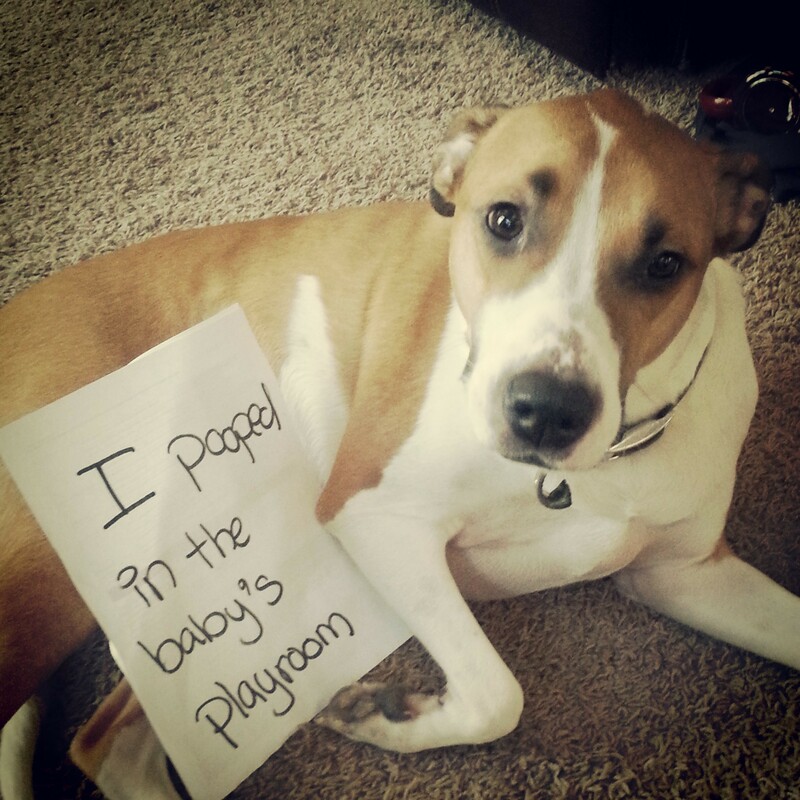 That was naive… apparently she can smell poopy diapers through the wet bags. Diapers are her favorite, but she’s also a fan of underwear, pants, shirts, bibs, and gym shoes. 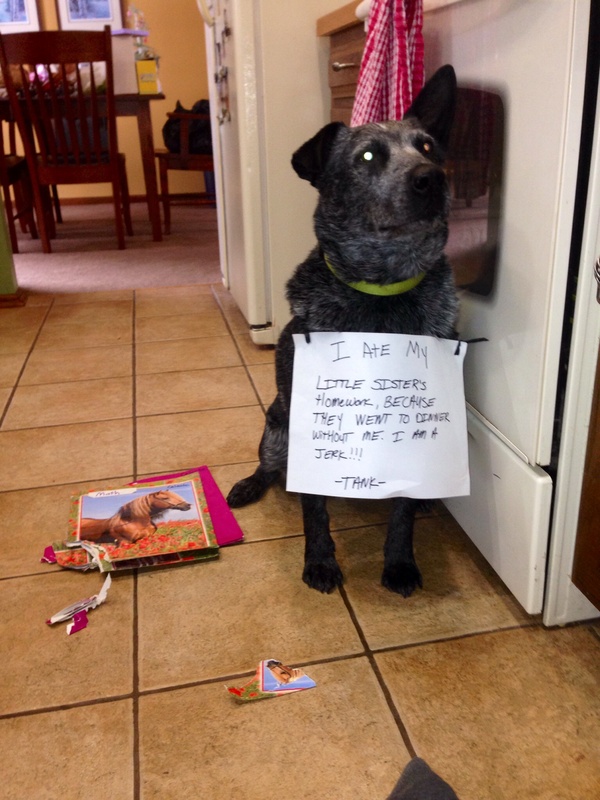 Posted May 16th, 2014 by & filed under Bad Babysitter, Dogs and Tykes, Submitted. 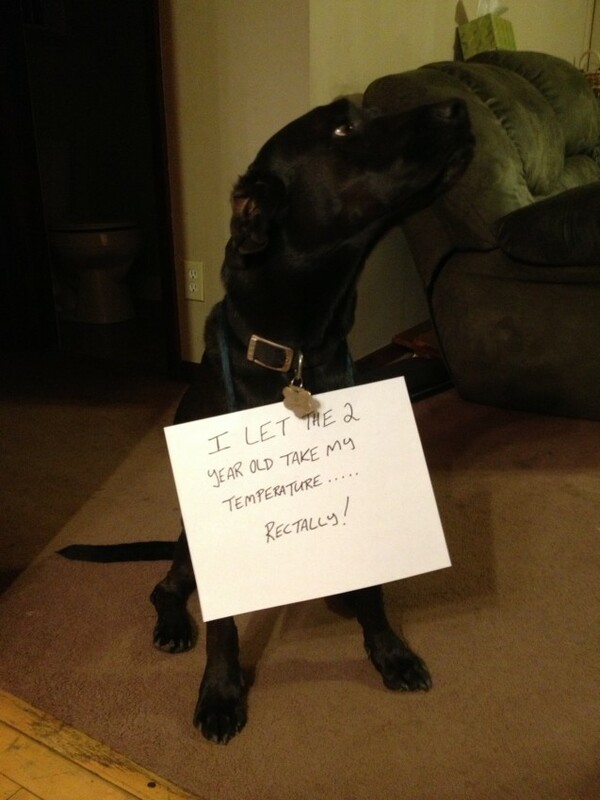 I let the 2 year old take my temperature….. Rectally! Our son must have been watching when we checked his baby sister’s temperature. He decided to share his knowledge with the dog. 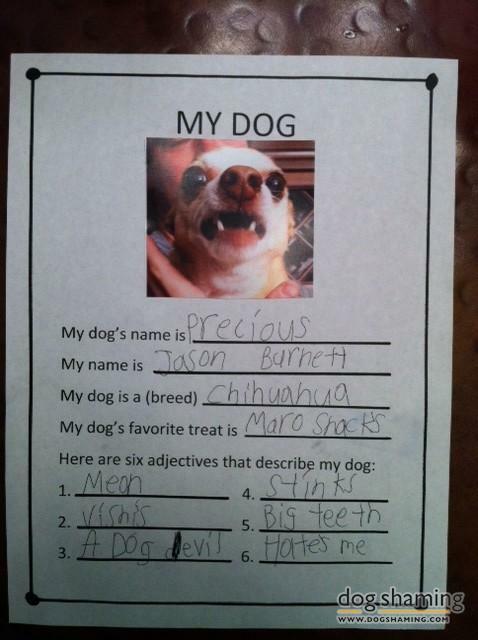 Posted May 8th, 2014 by & filed under Dogs and Tykes, Submitted. I ate my 4 year old sister’s first lost tooth before she could put it under her pillow for the tooth fairy. Many tears were shed. 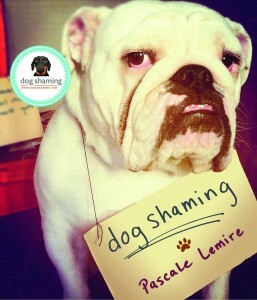 Posted April 14th, 2014 by & filed under Best Friend Betrayal, Dogs and Tykes, Submitted. Our Chihuahua, Precious, was not thrilled when she was dethroned as the baby of the family 9 years ago. To this day, she still dislikes our son. 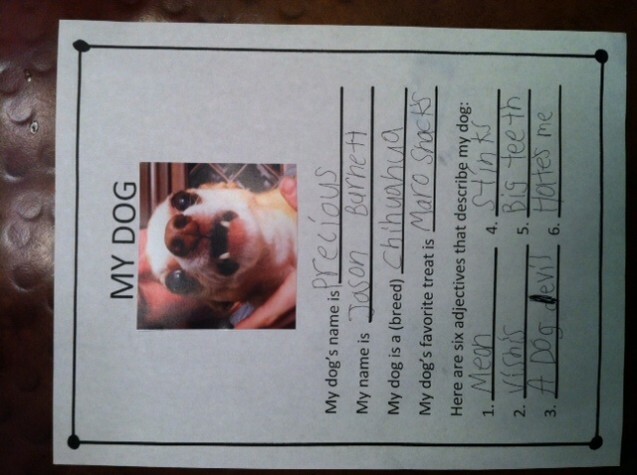 When my son’s school sent home this worksheet so he could share about his dog, we knew we had to tell the truth. My husband and I still love our first baby but, we try to keep distance between her & our human children. Posted April 9th, 2014 by & filed under Bad Babysitter, Dogs and Tykes, Submitted, Surprise Poops. We love our Bella even if she has bad breath!